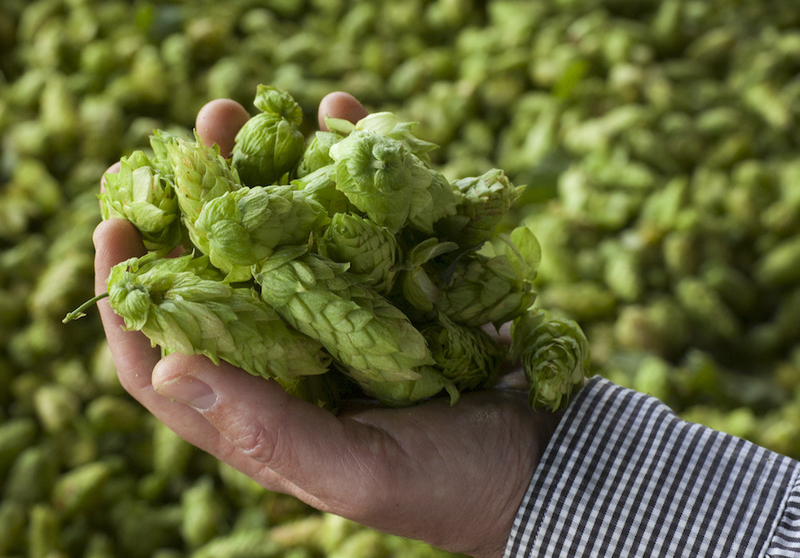 Scoop up a handful of harvested and dried hops. Give them a squeeze to note the quality of the drying process. Rub your hands together to bring out the aromas that reside in the inner body of the hop flower. Raise your hands up to your nose and inhale deeply.